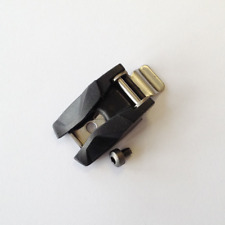 Supplied in singles, these buckles will also fit the older Instinct model. Boot Model : FOX Comp 8,FOX Instinct 2.0. Item : Boot Parts. Condition : New. IMPORTANT NOTE: UK is Mainland Only. 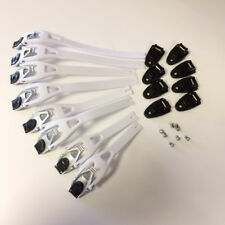 Fox MX Boot Spares - Strap/Buckle Kit - Comp 5 - White. 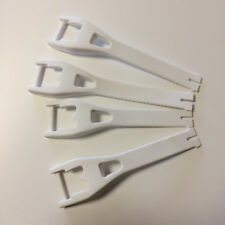 Fox - Boot Spares - Strap/Buckle Kit - Comp 5 - White. Item : Boot Parts. Boot Model Condition : New. IMPORTANT NOTE: UK is Mainland Only. SKU : 91446-008-NS. Wulfsport mx boots see picture below boots below. This strap will also fit the Wulfsport Black Knight Adventure /trials boot. Wulfsport Brown kids Trials boots below. Boot Model : FOX Comp 5. Item : Boot Parts. Condition : New. IMPORTANT NOTE: UK is Mainland Only. Last photo for information only. Moto Central: TCX Aluminium Toe Sliders. Aluminium Toe Sliders For S-Race Air Boots. 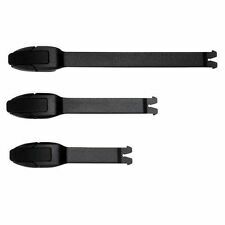 Fox - Boot Spares - Strap Set - Comp 5Y/3Y - x6 - Black. Boot Model Item : Boot Parts. IMPORTANT NOTE: UK is Mainland Only. Item : Boot Parts. Boot Model Colour : Black. Tech 8 (2006-2009 model). Tech 7 (up to 2013). Tech 10 (up to 2013). Tech 7 Supermoto (up to 2013). IMPORTANT NOTE: UK is Mainland Only. Sidi Motorcycle Boots Mx Strap for Pop Buckle long - Black. Strap Length 11cm. Sidi MX Strap Long (11cm). Genuine Sidi Spares. Sidi enduro sole e1 srs N:104 spare sole for sidi boots: - crossfire srs - crossfire 2 srs. 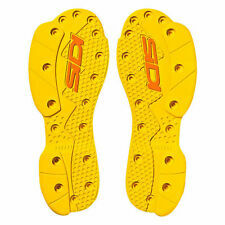 ENDURO SRS SOLES. Parts & Spares. Last YearsGear. Wear and tear is a problem, even with quality gear. Replacing a product's vital parts is key to maintaining it in top working condition for best function and full effect. Genuine Oneal Spare Part. View All Boots. BUCKLES FOR WULFSPORT MOTOCROSS BOOTS. FIXING HOLE CENTERS ARE 19MM. 1 piece, many other styles available. Fox - Boot Spares - Strap/Buckle Kit - Comp 5 - Fluo Orange. Item : Boot Parts. Boot Model Condition : New. IMPORTANT NOTE: UK is Mainland Only. SKU : 91446-009-NS. Alpinestars Toe Cap Kit. Condition : New. IMPORTANT NOTE: UK is Mainland Only. SKU : 25PU1370. Colour : Silver. Before ordering, ensure you know the correct Sidi boots model. CROSSFIRE 3 SRS. SIZE: EU 44-45 / US 10-11 / UK 9-10. SET OF TWO - LEFT & RIGHT. 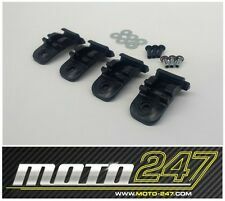 Alpinestars toe sliders for SMX 6 boots in black. MotorbikeCrash Pads &Sliders. Safety Clothing. Heated Clothing. Chest &Body. Find a comfortable point above the waistband of a normal pair of trousers (closer to your actual waist - see point C on the diagram). Boot Model : FOX Comp 5. Item : Boot Parts. Colour : Black. Condition : New. IMPORTANT NOTE: UK is Mainland Only. Moto Central: TCX Boots Sole. Sole For Pro 2 / Comp 2 Boots. 1 piece, many other styles available. Other lengths available are. Approx 140mm long. 1 piece, many other styles available. Boot Model : Alpinestars Tech 6. Item : Boot Parts. Colour : Black. Condition : New. IMPORTANT NOTE: UK is Mainland Only. SKU : 25SUT6N-1112. 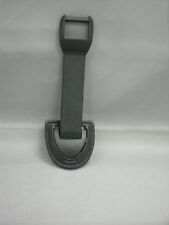 Complete strap, buckle and stap pass/receiver kit for Fox Insinct boots. Item : Boot Parts. Boot Model Colour : Charcoal. IMPORTANT NOTE: UK is Mainland Only. Condition : New. (Fox Racing F3/Comp 5/Youth Comp 5Y/3Y MX Boot Complete Strap & Buckle Set - Black. 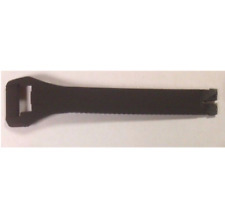 Fox Boot Spares - F3/Comp 5 Strap/Buckle Set - Black/Grey (Original Style). 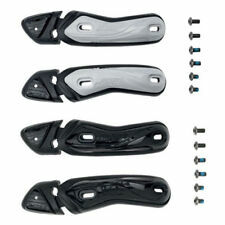 Fox Boot Spares - F3/Comp 5/5Y/3Y Strap/Buckle Set - Black/Grey (Original Style)). Boot Model : Alpinestars Tech 7,Alpinestars Tech 7 Supermoto. Item : Boot Parts. Condition : New. IMPORTANT NOTE: UK is Mainland Only. Red Torpedo. Spada Clothing. Oxford Covers. Eire Slovenia. Northern Ireland Slovakia. Netherlands Portugal. Complete strap, buckle and stap pass/receiver kit for Fox Instinct boots. Boot Model : FOX Instinct. Item : Boot Parts. Colour : White. IMPORTANT NOTE: UK is Mainland Only. Condition : New. Alpinestars Buckle Base Kit. Item : Boot Parts. Tech 8 (2006-2012 - so not Tech 8 Light or Tech 8 RS). Tech 10 (up to 2013). Tech 7 (up to 2013). Tech 7 Supermoto (up to 2013). Condition : New. IMPORTANT NOTE: UK is Mainland Only. Fox MX Boot Spares - Strap/Buckle Kit - Comp 5 - Black/Pink. Fox - Boot Spares - Strap/Buckle Kit - Comp 5 - Black w/Pink. Item : Boot Parts. Boot Model Condition : New. IMPORTANT NOTE: UK is Mainland Only. Sidi Motorcycle Boots Mx Strap for Pop Buckle Short - Black. Sidi MX Strap Short (7.5cm). Genuine Sidi Spares. Strap Length 7.5cm. Wulfsport Adults Mx boots see below. 1 strap 14cms in full length. Boot Model : Alpinestars Tech 6S. Item : Boot Parts. Colour : Black. Condition : New. IMPORTANT NOTE: UK is Mainland Only. Boot Model : Alpinestars Tech 3S. Item : Boot Parts. Colour : White. Condition : New. IMPORTANT NOTE: UK is Mainland Only. Genuine Sidi Spare part. Genuine Sidi Spares. 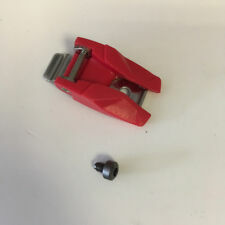 Includes spare screws. Item Specification. 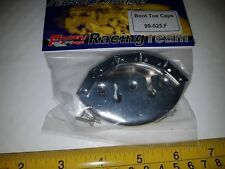 Motocross Helmet Chin Guards - Must sell by 13th April!